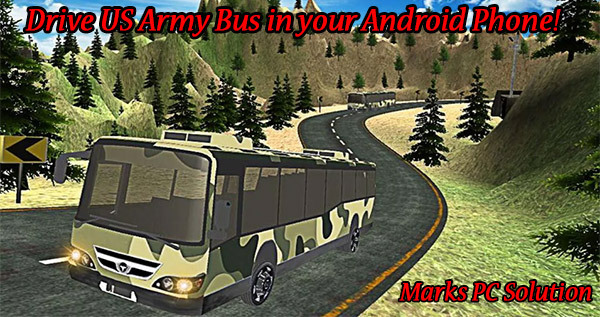 Drive US Army Bus in your Android !! 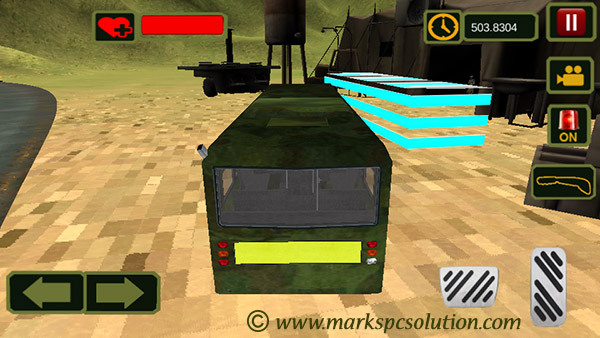 Now you can drive US Army Bus in your Android Phone! You've to pick up the army officials and drop them in their destination. And you've to drive through deserts and hills. It's really exciting. Let's drive . . .
Know more about the game on Google Play . . .
Look at the above picture . . . The marked area of the above picture is your pickup point. You've to stop there to pick up the army stuffs. 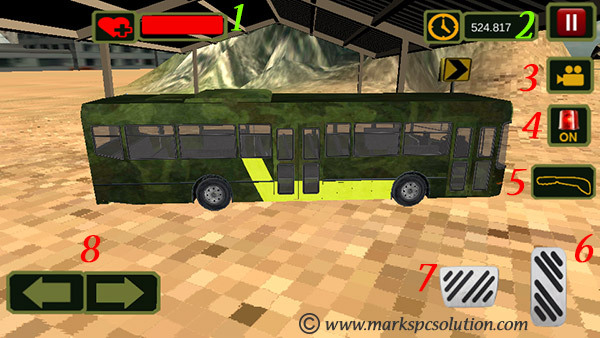 Keep driving the bus to the marked area. It will automatically stop you don't need to use the brake pedal. Be careful when riding a hill. Any major collision may reduce your vehicle life. Avoid bombs on the track. If you drive over the bomb your mission will be failed. 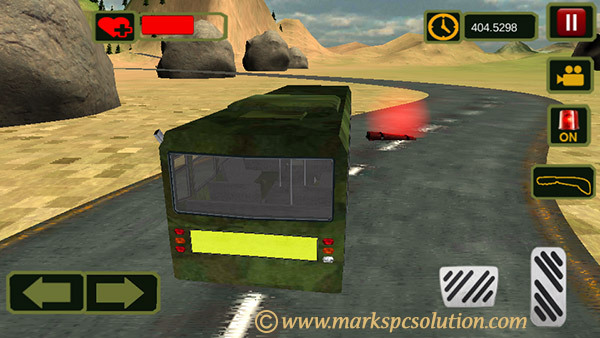 Hope game lovers will enjoy driving . . .